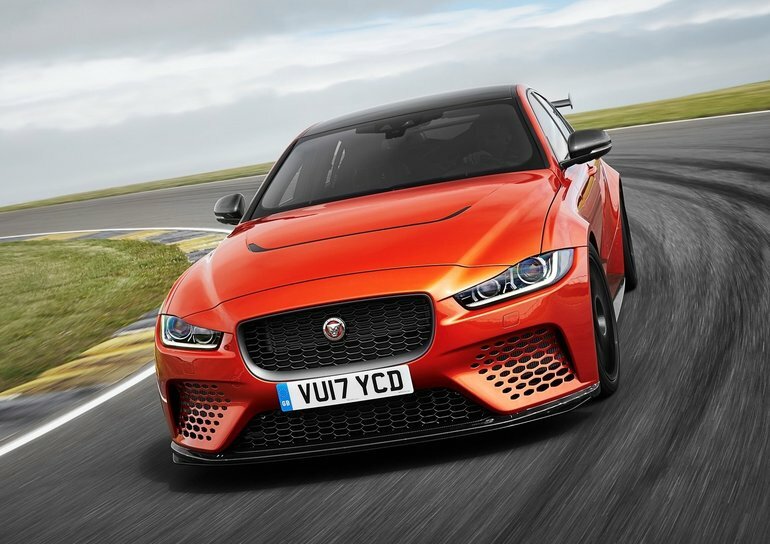 Introduced to the market a few years ago, the Jaguar XE has distinguished itself in its competitive segment by offering consumers a compact sedan that emphasizes style and elegance while being efficient and packed with technology. With the 2018 Jaguar XE, we get all the refinement and comfort of a British luxury car, but with performance that can compete with the best in Germany. The 2018 Jaguar XE offers its owners a wide choice of engines starting with a 2.0-litre four-cylinder developing 247 horsepower. This turbocharged engine is more powerful than its competition even though it’s the entry-level engine. You can also opt for a more powerful version that offers 247 horsepower or a 2.0-litre turbo diesel engine that develops 180 horsepower. No matter which engine you choose, you'll get top-notch performance combined with impressive efficiency. The new 2018 Jaguar XE offers a driving behaviour that perfectly combines comfort and sportiness. On your way to work, you'll enjoy the car's quiet ride and smooth suspension. On the other hand, you could choose a sporty mode to enjoy direct steering and agile handling. Inside, the interior of the Jaguar XE is made of refined materials, while the centre console is well laid out and easy to use. It offers several advanced technologies, including the InControl Touch Pro system through which you can access and easily use all of the car’s functions. Discover the 2018 Jaguar XE today. Refined and powerful, it offers everything you’d want in a compact luxury sedan.